The agencies involved in supporting a disabled man who was imprisoned and tortured to death should have been aware of the risks posed by the people he was living with, according to an independent report. The author of the serious case review, a former deputy chief constable, also suggests that the brutal murder of 24-year-old Lee Irving two years ago should have been treated as a disability hate crime by the judge who sentenced those responsible. Irving’s body was found on 6 June 2015 near the house in Newcastle where he had been living with the people responsible for his death, including James Wheatley, who is serving a minimum sentence of 23 years for his murder. Three others were convicted of complicity in his death. 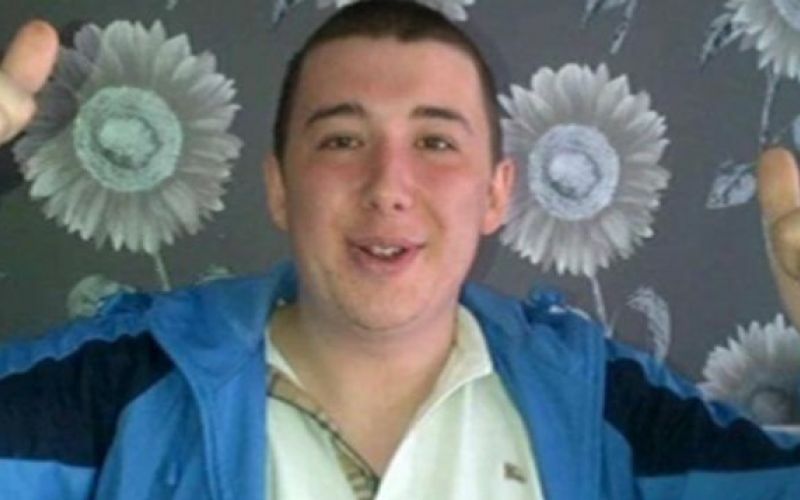 Irving (pictured), who had learning difficulties, had been repeatedly kicked, punched and stamped on by Wheatley, in attacks that took place over nine days, leaving him with multiple broken bones, including 24 broken ribs. A serious case review has now concluded that there had been “clear indications” of the threats he faced from those he was living with. As early as his teenage years, there had been concerns about Irving being bullied at school, and that he “could be easily led, chose bad company and that he exhibited challenging behaviour”. The report also says that two safeguarding referrals that raised concerns of the “serious threat” to his safety “could have prompted greater consideration and action within the safeguarding process”. While all of the “many agencies” that were involved in his case – which included Newcastle City Council, NHS bodies, Northumbria police and the probation service – “tried hard to provide a service to Lee Irving and his family”, those efforts were “not adequately co-ordinated or led”. Irving’s family had made “specific warnings” to the authorities about his living conditions, and believe more should have been done to protect him, although they have now concluded that he was so determined to place himself at risk “that only secure accommodation would have protected him”. The report also says that it had become much harder to protect him once he made the transition from children’s to adults’ services in 2008. Irving was reported missing 13 times between 2008 and 2013, and was arrested 30 times between 2011 and 2015, for offences such as drunkenness, possession of weapons, shoplifting, burglary, begging and assaulting his mother. In September 2011, the National Probation Service carried out an assessment and concluded that he was “incredibly vulnerable to the influence and harmful behaviour of others”, while it found the following year that he “seems to understand that he is being used and bullied but seems to put up with it rather than be rejected by his peers”. From 2012, his life “slid into a chaotic cycle of offending, being reported missing and associating with so called ‘friends’ who exploited him”, and by 2014 the agencies supporting him were told he was being exploited by those he was living with. The report also discusses the judge’s failure to treat Lee Irving’s murder as a disability hate crime. His family were appalled that it was not treated as a hate crime, despite requests from Northumbria police and the Crown Prosecution Service for the judge to do so. The review’s author concludes that, although he was not allowed to question the judge’s decision, Irving’s death should still be considered as “directly connected if not motivated by his disability and vulnerability”, and he later compares the murder to “other reported disability hate crimes”. The serious case review makes eight recommendations, in areas including disability hate crime training; partnership working and joint decision-making between agencies; the management of repeated safeguarding alerts; and the transition between children’s and adults services. Ewen Weir, director of people at Newcastle City Council, said it had become harder to care for Irving after he turned 18. But he added: “While all agencies tried to engage with Lee, there was insufficient challenge and support among partners.